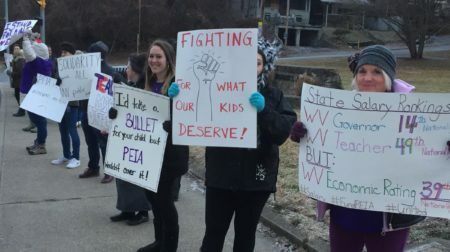 Longtime education activist Mark Naison reflects on what’s behind the teachers’ strikes in Oklahoma, Kentucky and last month’s walkout in West Virginia. For the last twenty years, beating on teachers has been the national pastime, as popular among Democrats as Republicans, among liberals as conservatives. 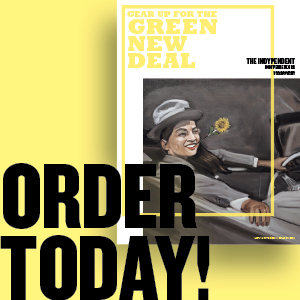 Teachers have been the nation’s most convenient scapegoat for rapidly rising levels of inequality and have been the target of an immense array of accountability measures which funnel profits to test companies while depressing teachers’ salaries and crushing their morale. Is it any wonder that there a nationwide teacher shortage, that teachers are fed up with their stagnant salaries, diminishing pensions and plummeting levels of respect, conditions which have made them have to work several jobs to stay afloat and have saddled them with intolerable levels of stress? No one is off the hook for this state of affairs, from Elizabeth Warren and Al Franken on one side, who never saw an accountability measure they didn’t like, to Betsy Devos and Jeb Bush, who are seeking to privatize what was once a public trust. And teachers know this. Which is why they are rising up all over the country to demand that their salaries elevate them above poverty and that they be treated respectfully by governors and legislatures. Remember: Teachers working conditions are student learning conditions. Mark Naison is a professor of African-American studies and history at Fordham University and director of Fordham’s Urban Studies Program. He is the author of six books on African-American History, urban history and the history of sports. 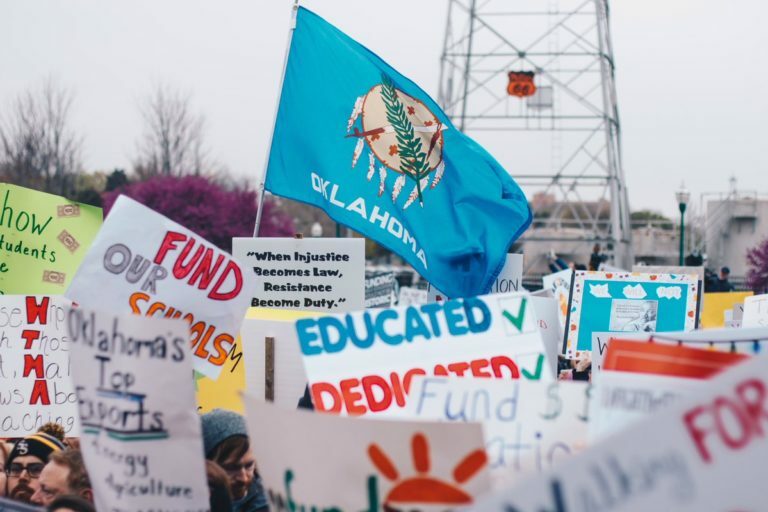 Photo: Teachers rally in Oklahoma, April 2. Credit: @StephMontelongo/Twitter.